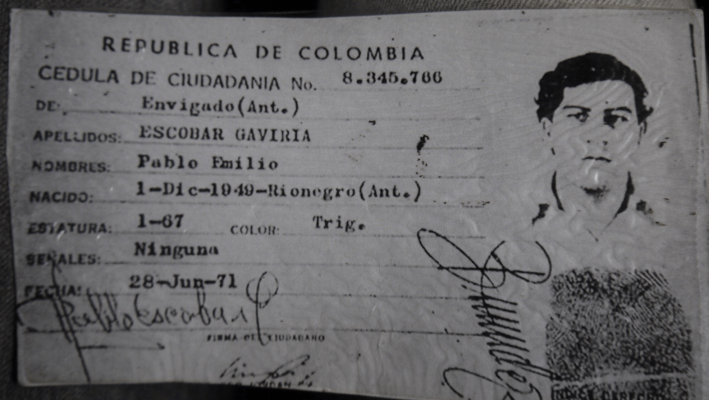 When you hear Colombia most people think of Pablo Escobar, the drug cartels and the FARC rebells. Not only through the news, but recently the series Narcos has produced so much publicity, that even the labs and houses of the Narcos have become famous places for people to worship and lay down flowers. This country however offers so much more than those old stereotypes which lots of people have still in their mind. 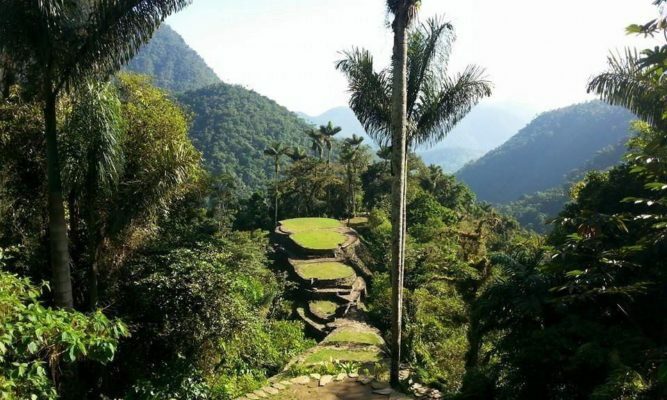 Of course there is still the good old fiesta – but the landscapes of this country is as versatile as the food and the people. The Caribbean Coast, where the people call themselves fondly “Costeños”, feature stunning islands and beaches. Only an hour away is snowy Sierra Nevada which basically is literally next door sporting dense jungle, lost cities and amazing treks. As divers as the nature, so are also the cities. At the coast, Cartagena is one of the most picturesque towns with colonial heritage. Whereas Medellin in the middle of the country has such modern and hip districts by now it, could be in any of the first world metropoles. 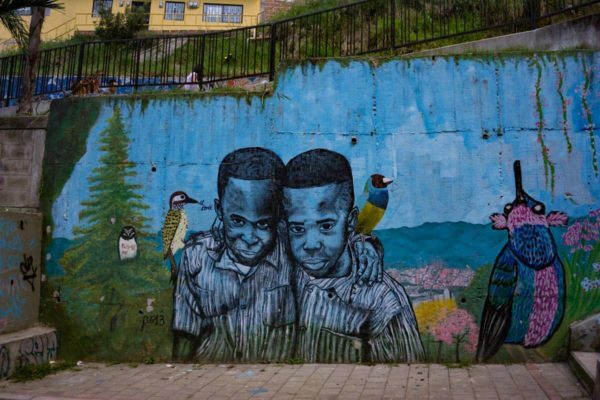 Nothing shows the signs of the struggle the people have gone through just over 15 years back, when Comuna 13 was under siege by the military. Further down south Cali on the other hand is celebrated as the capital of Salsa and in this town, the dancing never stops. After travelling 10 months down south in Central America I did settle with the fact that kitesurf spots are more of a rarity. Therefore I looked at training up my wave surf skills instead, which was dearly needed! However I did find two spots in Nicaragua to kitesurf. 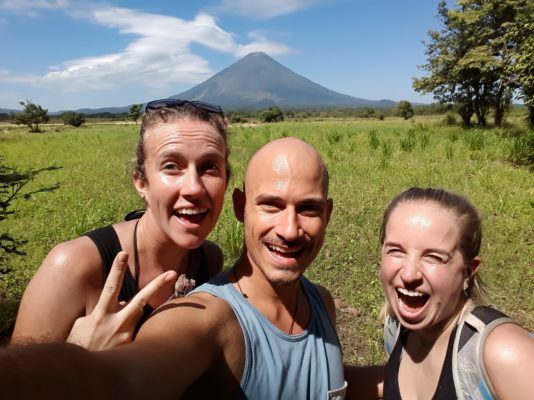 One was in the beautiful island of Ometepe, in the Rivas region next to Granada. Unfortunately due to the short visit and low wind conditions it wasn’t possible to go out. However the two volcanoes and jungle mischief in between provided enough activity to discover. The second spot was on little corn island, where the kitesurf school KiteLittleCorn provides you with any hospitality you require. Though I had the same luck as in Ometepe and with no wind the only alternative was the spectator sport diving. We did see some beautiful coral riffs and had some nurse sharks following us around. Though having seen much more beautiful spots during my travels the little island and it’s charm couldn’t really score against those experiences. Once arrived in Cartagena by sailing boat from Panama I started scouting the country for potential surf spots to further hone my board riding skills. Out of pure curiosity I googled for kitesurfing spots and was surprised to see that the most northern point in South America, Riohacha respective Cabo de la Vela actually did show up. And not only did they show up – they also showed up in dark purple colour on Windguru, which usually let’s any heart of a kitesurfer beat faster!! Although showing quite some gusts in the forecast – it put my long forgotten hunger to kitesurf back onto the plate! So after a short stay at the coast half way up, it was time to pump some kites again! A quick search and vetting of kitesurf schools and I had my decision made. I was going to contact KiteAddict Colombia and inquire for the current conditions on ground, availability to rent gear and to agree on an approximate schedule. When traveling without a fixed endpoint, schedules become a rather flexible thing. And it definitely does help to leave fix Swiss schedule thinking behind when traveling through more relaxed cultures like the latin one, where manaña is a very constant variable. When calling KiteAddict Colombia via whatsapp to make the arrangements, my still a bit broken Spanish must have not been the first encounter for Sophie, who after a moment asked me in perfect English where I am from and switched to German as soon as I said I was from Switzerland. As our phone connection wasn’t really good I was pretty happy to arrange everything in German and so it was settled. The next day I was off to Riohacha to meet with the KiteAddict team which took me out to their homespot Mayapo, half an hour jeep ride outside of town. Mayapo is an indigenous region and a lot of people still live in their territories while trying to survive the modern impact by selling fruits or wild catched rabbits on the side of the streets. Famous is also the available ‘street gasoline’, which basically was smuggled in from Venezuela and gets cheaper the closer you get to the actual border to Venezuela. The region itself sports several smaller and larger lagunas of which some can be used for kitesurfing. At KiteAddict’s Mayapo spot, it is possible to kitesurf in the ocean using the waves as a kicker for some freestyle tricks or then go all out on the super flat laguna. At some places the laguna is more like a hand deep so those tricks rather be landed! 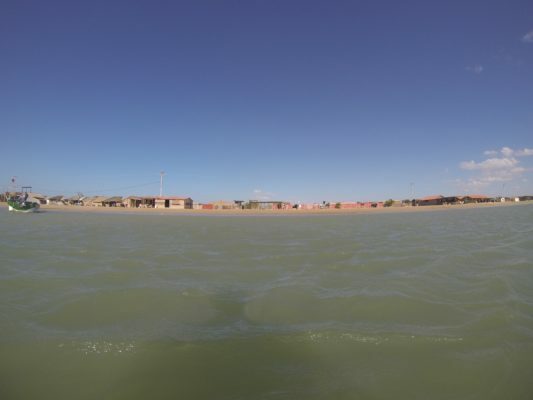 Flying through the water in the laguna with Martin’s own 9m² Vegas felt amazing, of course I haven’t been kitesurfing for several months but also the combination of high speed winds and super flat water, surrounded by desert-like vegetation was brilliant. Exhausted but with a big grin I ended my first session after 2 hrs for a short break for water and snack to get back some energy for the sunset session. When coming home in the evening I only needed some food and fell into bed straight away. Just in order to awake the next morning with the known stomach ache, which did signal that all my muscles had been working overtime the previous day. 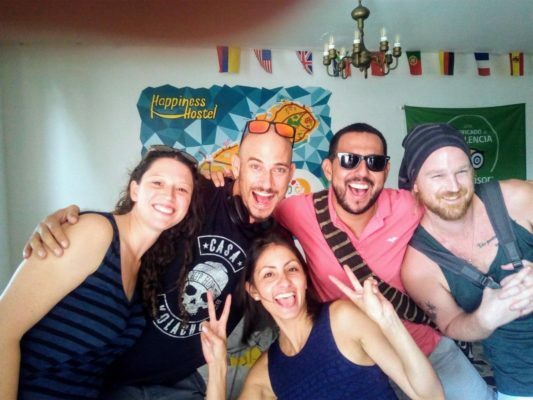 Feeling good to have been out kitesurfing, I went on for the next session after the beautiful breakfast at Happy Hostel, which truly cared for its guests and is a hostal gem in Riohacha. Rocking through the water with the boots is fantastic for freestyle tricks because you don’t have to care respective think so much about your feet but you can concentrate more on your trick. Boosted with new riding feeling I’ve had a go at my best trick the F16, which frankly is simply an unhooked backroll-kiteloop. As I haven’t been riding in a couple of months I only landed two of a few of these jumps I tried. One F16 I miscalculated that much the kite slammed onto the water and me crashing into the wave. Riding with somebody else’s equipment and crashing never feels good and of course Martin who did watch me going through the whole manoeuvre wasn’t happy at all. So it was better to scale back my euphoria about new boot freestyle riding and pushing my tricks while I clearly didn’t been at my heights yet. 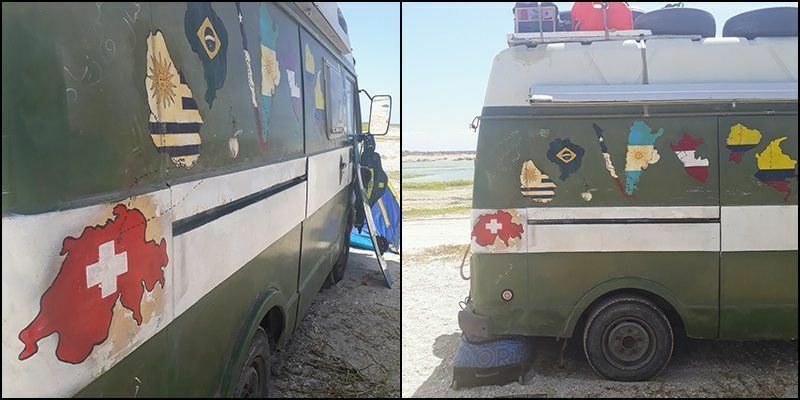 At the kitesurf spot in Mayapo there was another camper van parked with some other kitesurfers. After closer inspection after the kitesession, I realised that the van had actually Swiss car plates, and not just any but from the same town I was from! Usually Swiss people have mixed feelings when they meet their own kind abroad (because we have enough of them at home already) but meeting like-minded Swiss abroad is a different story all together! 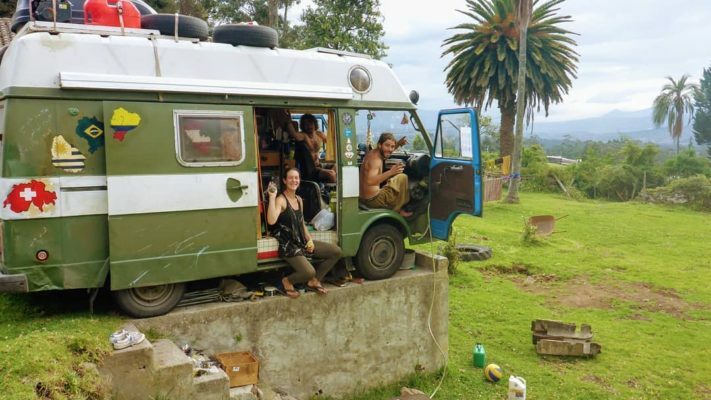 Danny and Flavia have been travelling over South America and painted their way on their transport. Listening to their incredible story kitesurfing and climbing throughout the whole continent made me feel like I want to jump right in and take a ride! Having such a ride is super comfortable because you can chuck in all the gear and stop at any point you want which is just amazing. However it also takes a lot of nerves when the van breaks down and you have to haggle with the customs for weeks just to get the replacement part sorted out! Van Lucy gets it’s repair done! Just before finishing our kitesurf session that afternoon the wind completely stopped for a moment and our kites fell out of the sky onto the water. As the wind slowed down before already a bit, so I had not as much height on the water anymore. Therefore I came dangerously close with the kite to the edge of the laguna which was filled with cactuses. After a quick thought I decided to release and do a safety-packup. Though with most of the self-rescue manoeuvres, they are done in a hurry and hence my lines did become the traditional spaghetti dish. Once all gear was safe I was walking back through the laguna to landing spot which took me about 40min. Having bought a 10 hr renting package from the KiteAddict school, I was pretty sure my time was up after those three days. 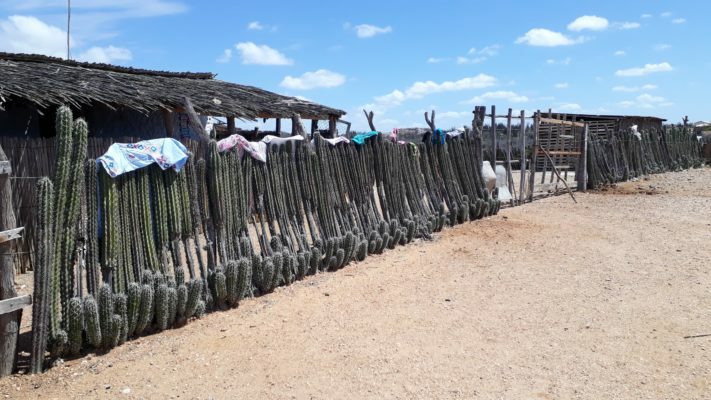 When I checked later that day with Sophie as I was about to go to their primary school up north in Cabo de la Vela, I was surprised when she sent me my timesheet in a excel spreadsheet. Bit overwhelming to see such organisation in Latin America! But well to be fair Sophie is also German and I think as the Latin people have dancing in the blood the Swiss and Germans do have organisation in their blood! Martin kept track of all my renting times and was so generous to not put down the 40min laguna walk, which left me with enough renting time for my first day in Cabo de La Vela! Having said goodbye to the Swiss crew and organising my transport with Sophie to Cabo I was off the next morning with merely a small back of clothes and little bit of food. Because what do you really need when you are in the desert and kitesurfing? Exactly! 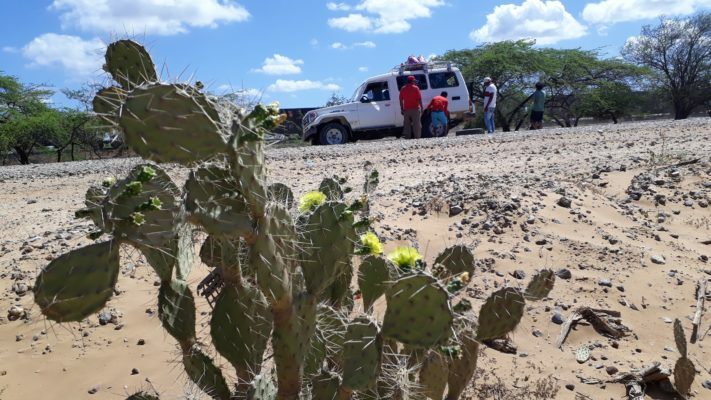 The journey to Cabo went through the capital of the indigenous people Uribia with a shared taxi, followed by a 4×4 jeep through the desert. While still running on the main road we heard a hard chuck on one of the back tyres. Shortly after the jeep was shifting slightly to the left and came to a stand. It seemed the tyre got pinched by some iron piece lying on the road and we had to switch the wheel. Everything was down so quickly by the driver and his son that it really was in their routine to perform this act. After leaving the main road and mainly driving through the desert you really realise why it is better to go there by 4×4 transport. Passing the indigenous houses I really loved their way how to build their fences. Nothing quite says stay out of my yard like a fence of cactuses! 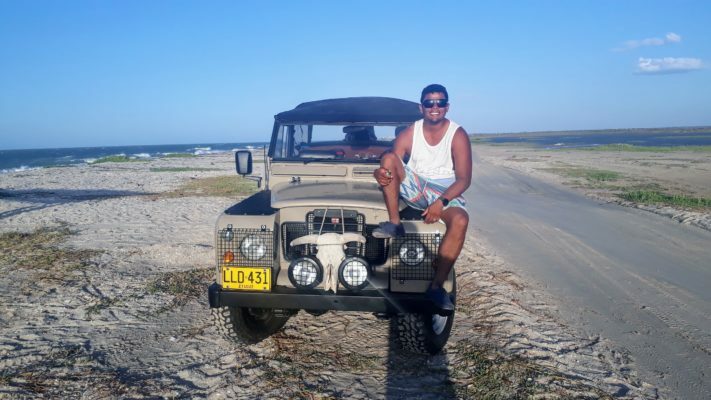 Cabo de la Vela is quite a small village with wonderful nice people and just the basics you need. I think staying in such places always puts your life again into perspective. Especially when there is no internet, people tend to come back to the core of what’s really life, stripped off all unnecessary things. The kitesurf spot in Cabo is flatwater with strong offshore winds which are pushed through the hot desert land onto the ocean. The right side of the bay is good for teaching (as it is also flat enough to walk). The middle part of the bay is for the more experienced kitesurfer who can shred from side to side and show of their tricks close to the beach. I have seen some crazy kite-kids back in Vietnam when I was teaching at the Kite-N-Surf school, but the kids here in Cabo really pushed the limits. 8-10 years old and they are pulling crazy jumps like they have done it forever! If some of them aren’t showing up in the future worldcup series then I really don’t know! The story of KiteAddict Colombia all started with a watersport passionate girl from Germany. Back in 2008 during her travels in Venezuela she heard about untouched places, up north in the desert of Colombia where the wind always blows. Made curious, she didn’t have to think twice when a opportunity came along to go to the Colombian coast for a non-governmental company. Located in Barranquilla, which was famous for its Carnaval, the whole Caribbean coast of Colombia was at her fingertips. She looked into improving her windsurf skills shortly after she settled in and maybe try kitesurfing too. Close by of Barranquilla she found the kiteboarding school Nautica Velero, which offered kitesurf lessons. The locals which run the school were super friendly, and Sophie had a fantastic time learning kitesurfing with which sport she fell in love heads-over-heels. But not only fell she in love with the sport, but also with her kitesurf instructor Martin. 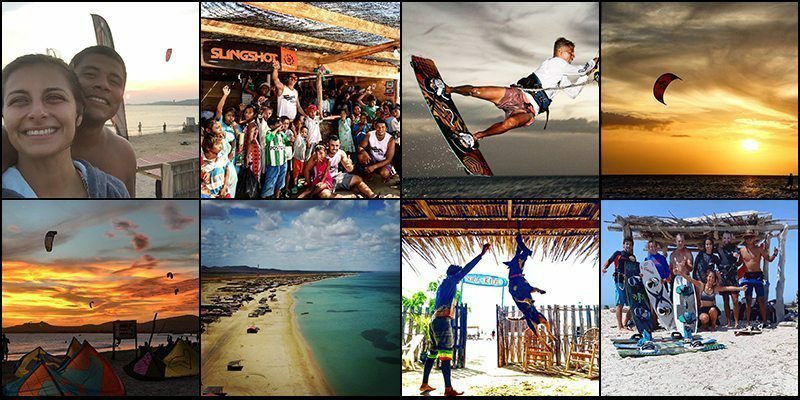 After a wonderful year discovering and kitesurfing together all along the Caribbean coast, they found Cabo de la Vela. Cabo back then was still untouched, and seemed like a dreamland for a kitesurfer. Flat water, strong winds and sunshine. Only palmtrees where missing but who really cares when you want to be riding on the water! They immediately felt that this was the place for them to build their kitesurf school. Though as the place belonged to the region of the indigenous people in Colombia, they needed to first get acquainted with the locals. They have seen tourists passing through the village, but never had seen some with kites surfing across the water. Once Sophie and Martin became friends with the locals, they started to train up the kids from the village, so that they can share their passion but also start working as kitesurf instructors. By doing so they offered them a possibility to support their families, while doing what they are passionate about. In the desert, where possibilities are very limited this has changed quite some of the local life. By now the kitesurfing scene is a fix point for the local people in the village and made further possibilities available, as neighbours could open hostels to provide lodging or open small restaurants for the hungry and thirsty kitesurfers. 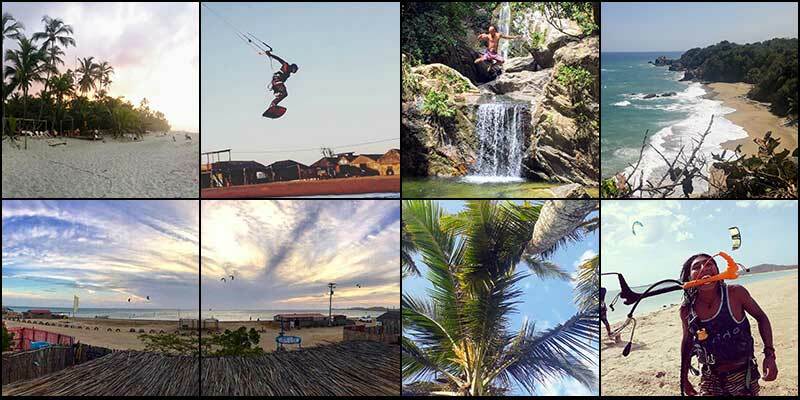 The transformation of Cabo has thanks to the passionate work of Sophie and Martin changed quite a bit, and I am certain that one of the upcoming kitesurf champions will come one day out of the ranks, which they have been teaching at that very spot. 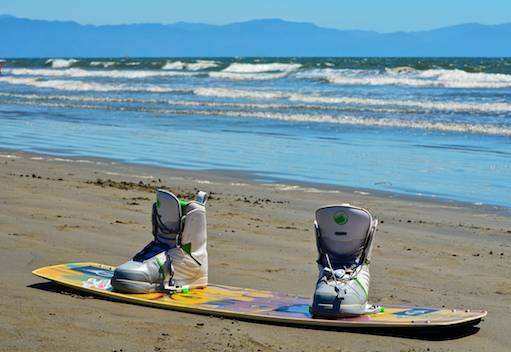 This entry was posted in KiteSurf, Travel. Bookmark the permalink.